Learn the correct French pronunciation of all the Paris subway station names of “la ligne douze” (Paris métro line 12): “Aubervilliers – Front Populaire – Mairie d’Issy”. 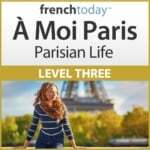 Free French audio recording from a Parisian native + métro maps + tips. Line 12 of the Paris metro is one of the longest in the network. 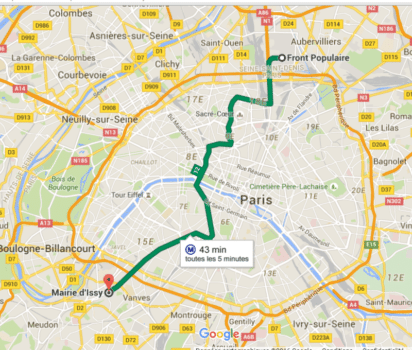 Its 15-kilometer route serves the capital from North to South via the Saint-Germain-des-Prés district. It was extended several times, to today serve 29 stations across the capital. Line number twelve of the Paris métro serves two national railway stations, Gare Montparnasse and Gare Saint-Lazare. Many commuters take this line to connect between the railway stations, although as I’ve warned you in my previous tips, traveling in the Paris subway with a suitcase is not a pleasant ride! (Aubervilliers – Front Populaire) – sorry not recorded! There are lots of beggars in the Paris métro. Some will be in the corridors, some will board the cars and ask for money. Some people are artists, musicians, some are actually excellent! Others are just asking for money: many will start by telling you their life story, and then go through the car and ask for money. Watch out though: giving some change out of your pocket is not a problem. Getting your wallet out and showing bank bills could put you at risk. So… if you plan on being generous, keep some change in your pocket before you get in the subway!